Quoll does not. Once you purchase one of our digital devices, you are given access to our support system without further charge. The only time you will pay more is if you decide to purchase another Quoll device. We offer medical alert pendants for necklaces and bracelets, plus dog tags and plastic medical alert cards that you can keep in your purse or wallet. All are designed to be resistant to corrosion, water damage and heat. Wear yours at the beach, in the pool, in the shower or in any hot or cold climate. Instead of merely displaying a few engraved characters indicating a medical condition, the Quoll Medical Alert system enables you to store so much more. As the only digital medical alert system in Australia, it features the international medical symbol on one side and a QR code on the other. As a Quoll owner, you make a profile via the Quoll website and store all your contact, identification, next of kin and doctor’s details plus your blood group, medical condition/s, medication/s and whether you’re an organ donor, transplant patient or other critical data. 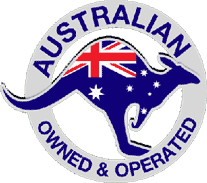 Quoll is 100% Australian owned and managed and operates from Lawnton, a northern suburb of Brisbane. The Principal has owned and operated successful businesses for 32 years in Australia including APE Distribution, Australia’s One-Shot Passport Photo System, Australia’s largest distributor of passport photo equipment to pharmacies and licenced Post Offices. Your data is stored securely on mulitiple servers which can be accessed from anywhere in the world, in the event of a situation where you need help.